Gold is the standard of respectability and luxury. 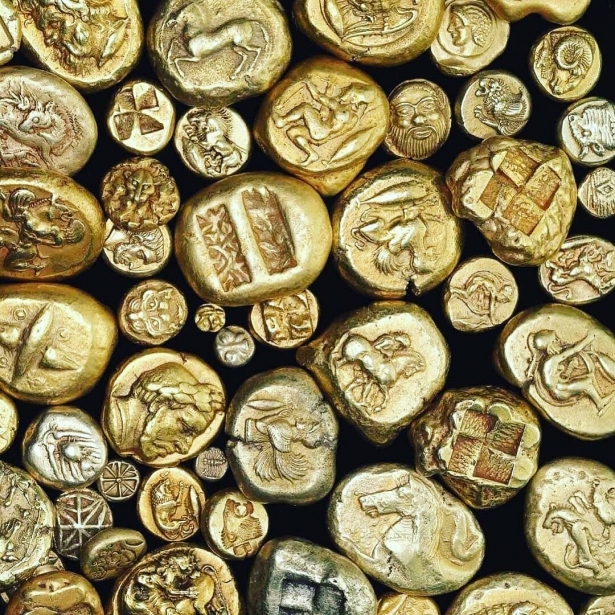 This precious metal has been used in contemporary paintings and art. Gold often serves as a background in the paintings of artists - the image is painted on top of the gilded surface of the canvas. However, there are special gold-containing paints, composed of a binder and gold dust mixture. These paints are designed for painting on canvas. We tell about three famous contemporary artists and their remarkable gold-painted paintings. The public adores paintings of the famous Austrian graphic artist Gustav Klimt for the romanticism and sensuality of images. His most famous works, like "Portrait of Adele Bloch-Bauer", "Kiss" and "Water Snakes I" refer to the "golden period" of the artist's work. Klimt has been familiar with gold since childhood - he was born in the family of the precious metal engraver and he mastered his father's craft. The artist admired medieval church paintings of Italy. He was inspired by richly decorated ancient Byzantine mosaics to create his "shining" paintings. 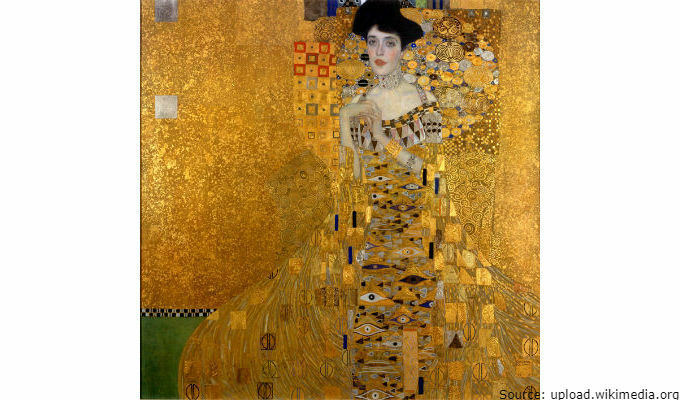 Klimt transcended their luxury and brilliance into contemporary fine art. The artist played with color and relief in attempt to give the surface of his paintings a new look. Saturated shiny colors predominate in his paintings. Klimt painted with gold, using the finest gold leaf. "Golden" paintings of Klimt are like a fairy-tale scenery. Once you see them, you will never forget them. Canvas of Gustav Klimt are magnificent works of art, masterpieces of the last century’s art. In the picture: а painting "Portrait of Adele Bloch-Bauer" (“Adele in Gold”) by Gustav Klimt . Canadian self-taught artist Lauren Brevner paints spectacular female portraits using gold paint. Her paintings are full of color expression, while female images are full of mystery and charm. Lauren experiments with different styles and techniques of painting, plays with layers and image textures. She paints on wooden panels. 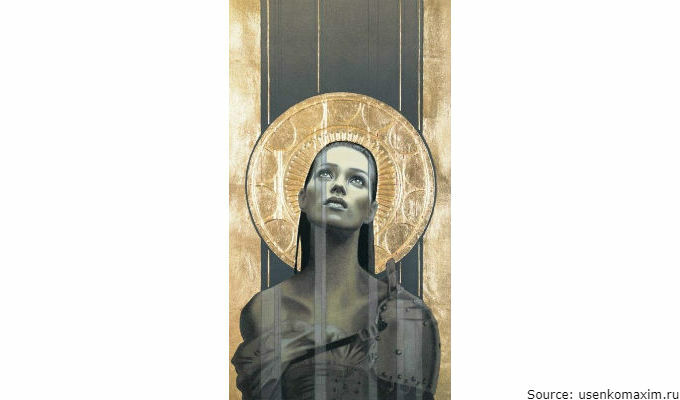 On her canvas, women exist in three-dimensional gold spaces. The artist uses gold dust, gold leaf and gold-containing oil paint. The works of Lauren echo the creativity of the artist Gustav Klimt. 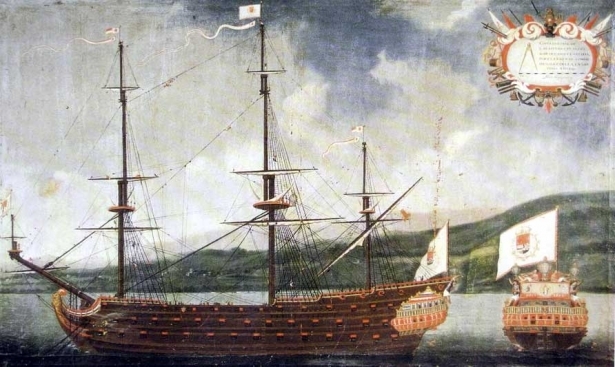 Traditions of Japanese painting that inspired this young girl were reflected in her paintings. Social networks got the young artist famous. Lauren did not dare to show her works to the public for a very long time. Her brother convinced her to create an account in the online community and post pictures of paintings and videos of the creation process. That’s how the self-taught artist Lauren Brevner gained popularity. In the picture: а painting "Hyacinth" by Lauren Brevner. The Latin American artist Manuel Nunez paints unusual female portraits. His works are original and unique, and the painting technique is reminiscent of the 19th-century paintings. The usage of gold in his paintings only enhances this effect. Female portraits harmoniously combine the imagination of the artist, the perfection of the noble metal and modern technology. These precious works of art are distinguished by their elegance and sophistication. 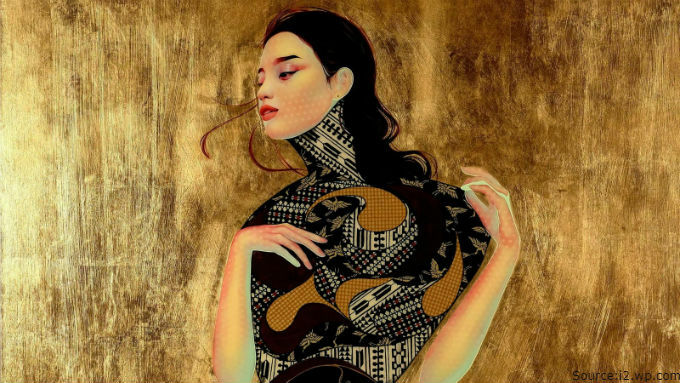 Beautiful female images by Nunez are transferred to gilded canvases. "I portray strong women. They are beautiful and free, sensual and virtuous." 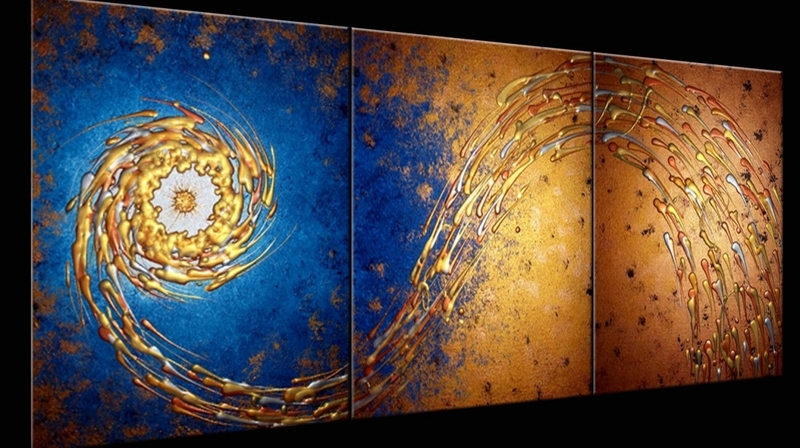 The artist uses gold paints and gold leaf in his paintings - the finest plates of the precious metal. Manuel believes that gold symbolizes "righteous purity and immaculate spirituality." The glow of the precious metal in the works of Manuel Nunez gives the paintings a special mysticism. 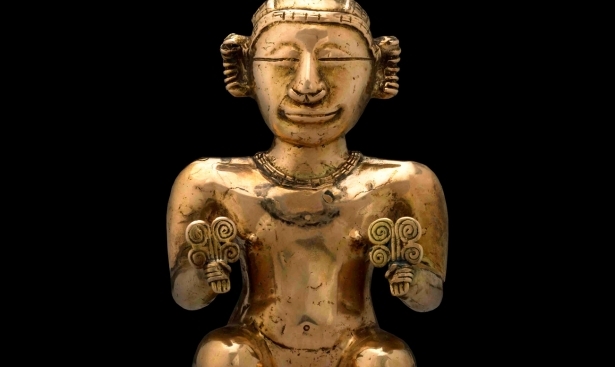 Masterfully created female images of Nunez, like gold itself, combine magnetism and sensuality, nobility and greatness. In the picture: а painting "Draweth Nigh 1999" by Manuel Nunez.